NAHASDA Mission Statement: The Nulato Housing Authority advocates the provision of decent, safe, and sanitary housing for all low to moderate income Alaska Natives in the Nulato Area. In order to promote clean and sober lifestyles among the Native youth, the Nulato Housing Authority will implement drug elimination activities as alternatives to the pervasive alcohol and drug preferences within the Nulato community. The NAHASDA program funded by HUD allows the Nulato Tribal Council to increase opportunities for more housing to low to moderate income Indian families in the Nulato Area. The Nulato Tribal Council assist homeowners with the following: 1) construction of a house package; and 2) house foundation upon approval from the Nulato Tribal Council. This allows for local residents to obtain employment through a Labor Cooperative Agreement with Union Local 942 on a seasonal basis and to obtain employment outside the Nulato Area. 1. Provide homes for the homeless. 2. Provide homes to relieve overcrowded conditions (e.g. – two (2) families living in one (1) home). The Housing Improvement Program Grant Award is on an annual basis and must be approved by the Bureau of Indian Affairs at the Juneau Central Office – Alaska Regional Housing Department. Eligibility is based on four (4) factors: 1) Federal Poverty Guidelines (Annual Household Income); 2) Aged Persons; 3) Disabled Individual(s); and 4) Dependent Children – CFR 25 Part 256, Housing Improvement Program. Deadline to apply: Check local areas (Post Office, Store, or Laundromat) for posting in mid-July annually. 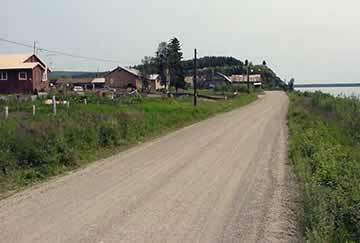 Applications are available to Nulato Residents living permanently in the Nulato Area. The Tribal Transportation Program (TTP) is the largest program in the Office of Federal Lands Highway. Established in 23 U.S.C. 202 to address the transportation needs of Tribal governments throughout the United States, the program receives $450,000,000 annually to provide safe and adequate transportation and public road access to and within Indian reservations, Indian lands, and Alaska Native Village communities. A prime objective of the TTP is to contribute to the economic development, self-determination, and employment of Indians and Native Americans. The Tribal Transportation Program is funded by contract authority from the Highway Trust Fund and is subject to the overall Federal-aid obligation limitation. Funds are allocated among Tribes using a new statutory formula based on tribal population, road mileage and average tribal shares of the former Tribal Transportation Allocation Methodology (TTAM) formula. 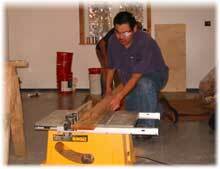 Nulato Tribal Office hours: 8:00 a.m. to 5:00 p.m. Contact Person: Myra Shryock at (907) 898-2342, Fax (907) 898-2207.